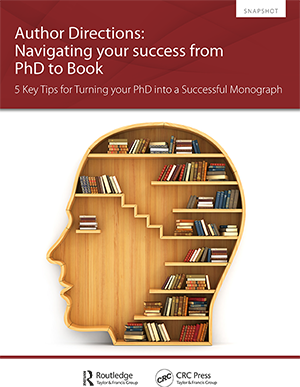 Some PhD theses make for excellent books, allowing for the research to be distributed more widely, often providing a springboard for a successful academic career. However, it is important to remember that a book is a very different product from a thesis and not all good theses would make good books. Publishers consult with academic referees and make the decision not only on the academic quality and standard of a volume, but on its potential commercial value and market. The 5 key tips in this paper will help you assess and adapt your own work before presenting it to your chosen publisher. As an author, you are the face of your work, and the information you share on social media can help you gain exposure and encourage your work’s sales. When used effectively, social media can be a powerful tool to help spark interest in your work, convey crucial information in real-time, and foster genuine, direct connections with your readers and potential readers. 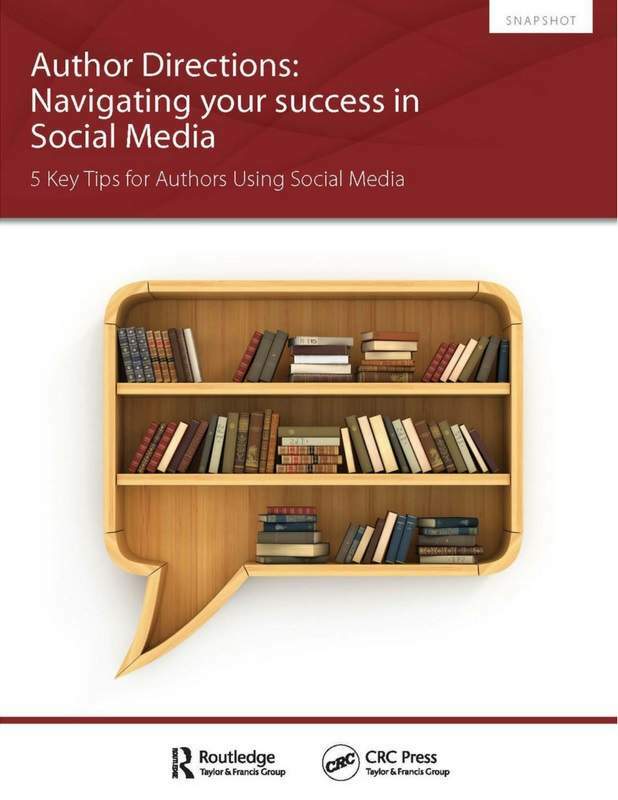 Whether you are social media novice or already established, the 5 Key tips in this paper will help give advice on building and reaching audiences. Publishing a book is an exciting time for any author. Years of dedication and hard work pulled together into a printed volume ready to share with the academic world. As an author, you know your audience better than anyone. This snapshot will help you put that knowledge into the marketing of your own book, with tips on how to gain a strong online and offline presence to maintain discoverability, even after publication. Academic Blogging: Why Should I Blog and Where Do I Start? Blogging, at its most basic level, is the keeping of an online journal. As an academic, you’re probably already aware of blogging and know that it has a role to play in your field, but you may not know the benefits of creating a blog yourself or how to go about it. This paper will demonstrate the benefits of blogging within academia, how to get started, and will provide key pointers to help make your blog a success. Need help and advice on getting your book reviewed? This snapshot guide gives you tips that will be helpful when approaching journals, and includes advice from reviewers themselves! We also share a glimpse into the review process a journal takes to give you an idea of the hard work behind every review. Having your book published is quite possibly one of the most exciting moments in your career. After many years of hard work your book is finally in front of your peers and the public. As an author, you may want to arrange a book launch to meet and engage with your audience – who’ll hopefully purchase a few copies of your book! Our resource guide will help you plan your book launch, with advice and tips from Taylor & Francis authors well versed in organising launches themselves. This resource guide will help guide you through collaborating with our global Corporate Institutional Sales (CIS) team, to help them make the most of your network and connections. Are you planning a launch for your book or know of an institution or employer, societies or association in your network who would appreciate volume book purchasing prices? Would your title be a useful resource for training, CPD, consultancy or brand building? With special author discounts and volume order pricing, the CIS team are here to work with you on available purchasing options or facilitate potential leads you may have, to help put your book in both print and digital format in the right hands. An academic book proposal is a document which provides an initial overview of a book project, usually in advance of completing a book manuscript. The proposal will initially be read by an Editor in order to assess the suitability of a book project for their publishing programme (or “list”). We have taken insights from our global editorial team across Routledge and CRC Press to develop guidance on how to prepare a successful book proposal. In doing so, we’ve identified four important themes. Following these will increase your chances of publishing success from conception to publication. The world of social networking can be a daunting place and knowing what content to share on what platform is vital in ensuring you reach the correct audience. It is important to promote yourself as well as your work, and the information you share can have a huge impact on your success. The question is, what should you share on LinkedIn? What content will be the most effective to promote yourself to your connections? The aim of this guide is to answer those questions and improve your understanding of what LinkedIn is, how it differs from other social networking platforms and how to use it to effectively promote yourself and your work. Public speaking, such as giving lectures or talks, is a great way to promote both you and your book. It gives you the opportunity to share and discuss the ideas in your book through a different medium. This resource will help guide on what you need to consider when planning public speaking. There is also plenty of advice from our authors from planning to promoting your book. Search Engine Optimisation (SEO) and discoverability aren’t just technical jargon to make your head spin, they are crucial concepts to an active online presence. SEO is defined in Marketing the Basics as ‘optimizing web pages to ensure they appear in the top 10 results of search engine indexes for specific keywords’. Discoverability refers to the ease with which users can discover content. If you can understand SEO and therefore discoverability, your content will be seen more often, which, in turn, will positively affect the sales of your book.